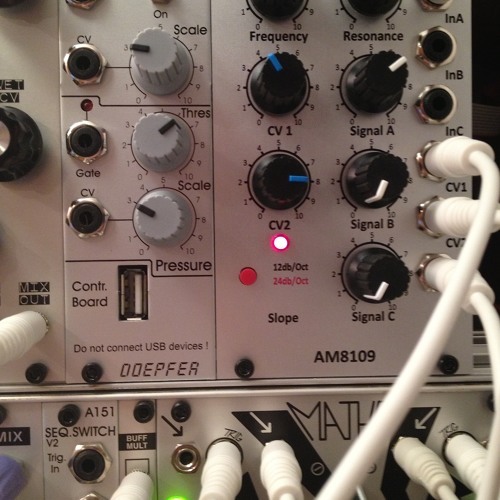 Polivoks VGC -> AMSynths JP8 filter (AM8109) controlled by the hexinverter sympleseq clocked by the TR-606 for the acid synth loop. TR-606 on the beats. MS10 and MS20 on the additional sounds.